ACCESS NEW EDMONTON CONDOS FOR SALE! If you're looking at Edmonton condos for sale as a potential avenue of real estate investment, then you either already knew or quickly learned that they're not selling all that well right now. In fact, condo sales in Edmonton for 2018 were down 8 percent as compared to 2017. On top of that, vacancies had climbed up to 20 percent. Numbers like these can make many weak-kneed investors run for the hills, but you might also realize that dropping prices can reflect a rare investment opportunity in the real estate world. Keep reading to learn 6 specific advantages you might be able to enjoy here. Condos, in general, are cheaper than detached homes. However, condos around Edmonton are getting even cheaper. In 2017, they averaged $260,411 in sales price. However, in 2018, they were down to $238,141 for the average. Baby boomers are starting to retire in massive numbers, and rather than face empty nest syndrome in a home that is suddenly too big for them, downsizing to something smaller makes life simpler. The cash windfall can even help finance retirement. For that matter, younger couples without kids can enjoy the simplicity as well. Edmonton is, of course, a primary center of economic activity for this region of Canada, and it's not just in oil and gas. Professionals that are constantly traveling might enjoy having a home that's so tightly clustered in with others, because it won't always be so obvious they're not home as if they lived alone on a street. Most condos everywhere have their maintenance and upkeep included, although the interior and exterior contracts might be separate from one another. Simply keeping up with HOA fees means that fixing your own plumbing or mowing the yard aren't things you have to worry about. Since condos usually have their maintenance already handled, regardless of who is living in them, they make great investments because their condition isn't as risky as some detached homes. You can live in a condo and preserve your wealth until prices go up again for you to sell, or you can rent one out and still sell when it makes sense. Many residents of Edmonton are skittish about buying a home right now. In addition to the Great Recession that struck the whole continent, Edmonton also saw another real estate crash when oil prices dramatically plunged in late 2014 and early 2015. A decade ago, only 15 percent of condos were getting rented out, but it was more than double that in 2016, and up to nearly 40 percent now. Renters want to enjoy the amenities that condos provide, as well as their proximity to jobs, but they can't necessarily afford their own home yet. Investing into Edmonton condos means you can provide affordable housing for those who aren't yet ready or willing to be homeowners, and you can preserve your wealth in the property value while enjoying rental income in the meantime, all with someone else handling maintenance and upkeep for you, depending on the particulars of each property. Edmonton condominiums for sale are going through a definite lull in prices at the time of writing in early 2019. However, this can represent an opportunity to find yourself an affordable home with central location, maintenance handled for you, and conveniences. They can also represent investment opportunities. Any investment carries an element of risk with it, so weigh the pros and cons before you decide on one yourself. 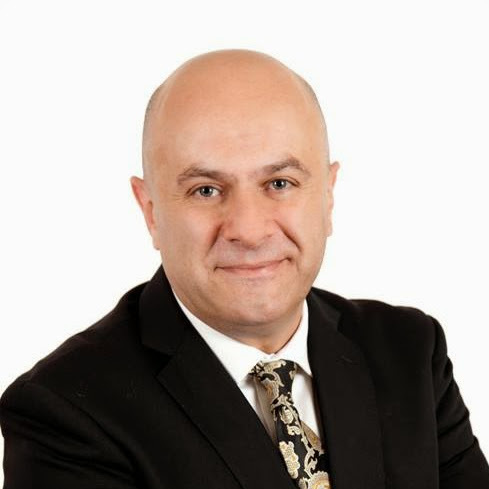 Hall Of Fame RE/MAX Realtor Wally Fakhreddine is an expert on the local market for Edmonton condos for sale and we help you determine the best property for your needs and lifestyles. Find out more about the benefits of these hassle-free residences and email us or call us today for more information: 1.780.238.7384.